I have been in Louisiana seeing Steph and her family and decided to actually not stress out the whole time i was here. I swept electric lion in there too, for good measure. We'll file that one under the "become a better person" rule of EL Mark II. Anyway, thanks all the same to Winslow for calling me out and Bryan for making fun of me. 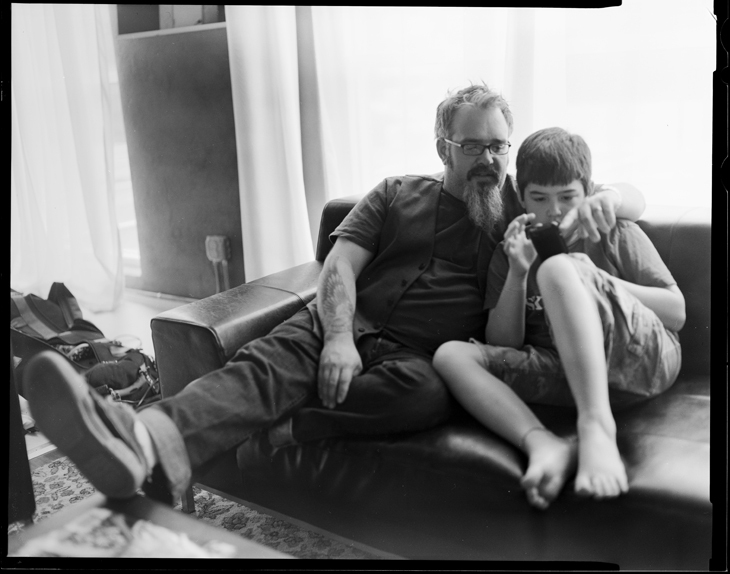 Anyway, the above photo is Zack and his boy hanging out on the studio couch. This one may be my favorite.